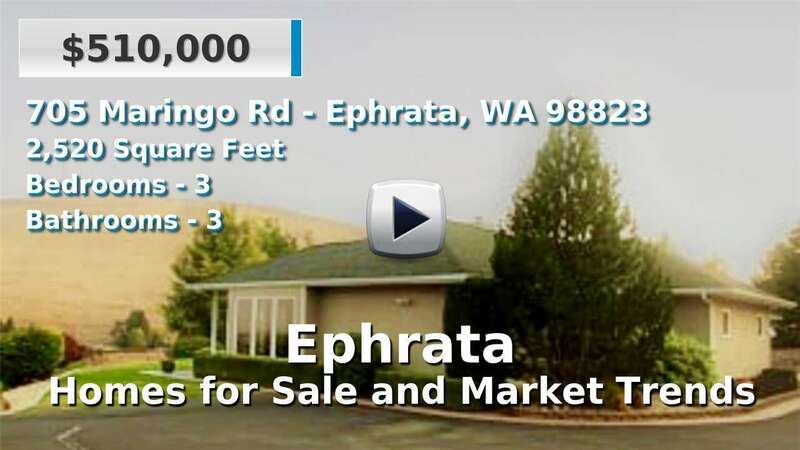 Ephrata is a small city of 7,600 residents in central Grant County, Washington. It is the county seat and one of the larger cities in the area. Its location in the eastern part of the state makes it one of the gateway cities to the Columbia Basin, the Grand Coulee Dam area of the Columbia River. Homes for sale in Ephrata are older than the average age in Grant County, but the area is mostly rural and residents have a short work commute of only 15 minutes. 6 Beds | 2.75 Baths | 2780 sq. Ft.
4 Beds | 2.5 Baths | 2054 sq. Ft.
5 Beds | 1.75 Baths | 1802 sq. Ft.
3 Beds | 2 Baths | 1648 sq. Ft.
3 Beds | 2 Baths | 3182 sq. Ft.
4 Beds | 2.25 Baths | 2128 sq. Ft.
3 Beds | 2.25 Baths | 3100 sq. Ft.
3 Beds | 2 Baths | 1767 sq. Ft.